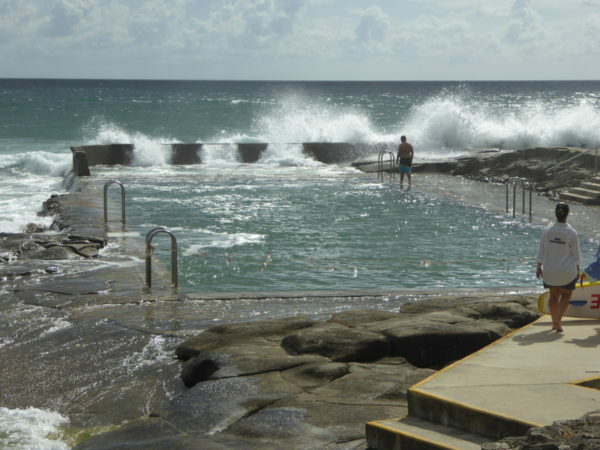 Greenwell Point Village Pool is a fantastic spot for a swim…provided you pick the right time and the right weather. Yes, I came here twice on cloudy days and obviously fell foul of the closed in ‘inclement weather’ rule. The opening hours are a bit idiosyncratic, but at least they are clear to all. 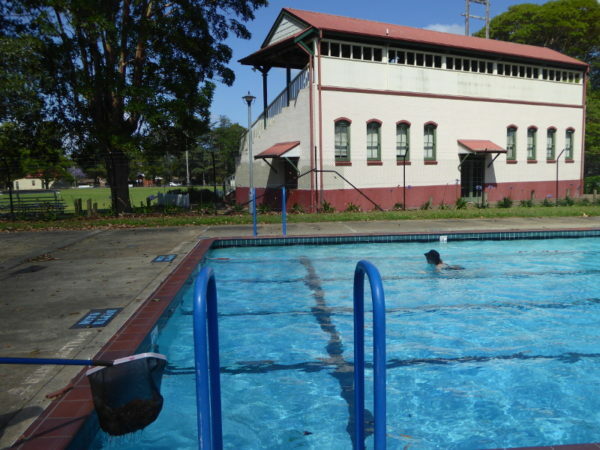 Defining if the weather is good enough to open makes Greenwell Point pool opening times a bit dependent on the subjective view of the manager or lifeguard on a given day. Bright sunshine after a night of heavy rain in early November clearly passed the weather test, so I got my swim at Greenwell Point, and had the pool to myself for my laps that morning. The pool only opened for the season four days ago, and we have had an east coast low since then, so the water hadn’t had much of a chance to heat up yet and felt chillier than the ocean water I’d been in the previous day. 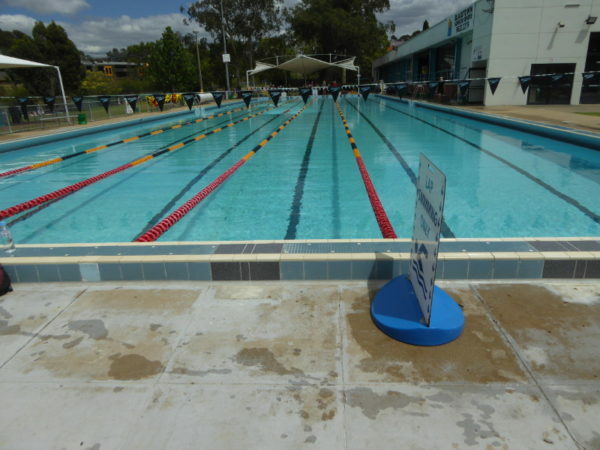 The little jets of water on one side give the pool a perpetual shimmer, and with Norfolk pines and palm trees to view on backstroke, plus all the birds flying over, this is a wonderful place for a swim. Actually the ducks might be in the water before you. The lifeguard does his best to keep them out, but there’s quite a clan that collects by the poolside, and judging by the press clipping below, it sounds as if the ducks have made Greenwell Point their home for a few years now. But as well as the ducks, you have pelicans gliding overhead, swallows swooping low over the water, and the usual birdy neighbours like magpies and minor birds all sharing the space with you, not that any of them actually got into the pool. It’s only a 25m pool, but Greenwell Point is a village after all, with a population barely over a thousand (though that must double during holidays). The very fact that they have an outdoor pool at all is fantastic, and reminded me of some of the village pools I visited in Cumbria when I started a similar quest round the UK a few years ago. 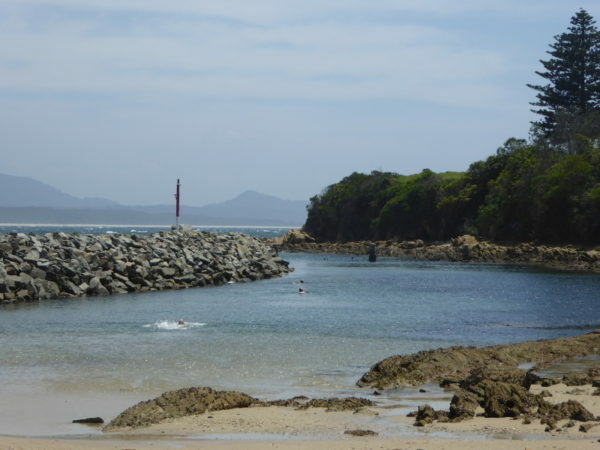 You can see the bay from the pool, and there are fishing boats moored at the wharf right by the pool at Greenwell Point. It’s a really idyllic spot. When I’m the only swimmer in a public pool, I always get worried that the facility is underused, but the lifeguard reassured me that Greenwell Point is well-used through the season, so hopefully the place will stay open for residents and visitors to the area for years to come. 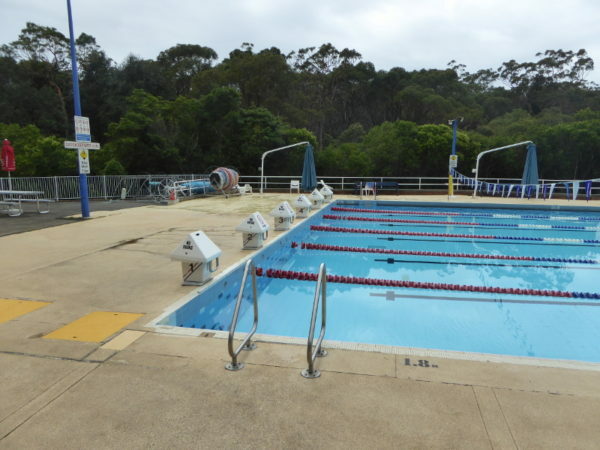 There are buses to Greenwell Point from Nowra, but only a couple a day, so you need to be pretty organised to use public transport to get to the pool in the village. The pool is right by the wharf at Greenwell Point so drive right through the village to find the pool. The water is pretty shallow so no problem just sliding in off the side of the pool, but otherwise there are vertical steps or the hoist for disabled access. Warm showers in the changing rooms. Not bad for a little village pool. Entrance fee $4 in 2017-18 (the photo in the gallery still shows prices and opening times for 2016). 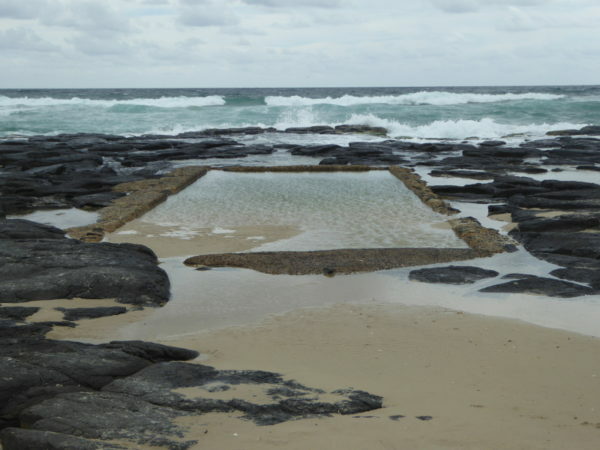 25m pool with depth ranging from 1m to 1.4m max. Toddlers paddling pool under shade. I found no stories or history on Greenwell Point pool. What’s your story? Any memories of swimming here? Any stories to tell? Or did you just have swimming lessons in days gone by? Best fish and chips in NSW, they reckon. Coffee and cookie were good, too. They use the Daily Grind roasters and the coffee was a good temperature and smooth.. Lovely views over to the sparkling water of the Crookhaven River.